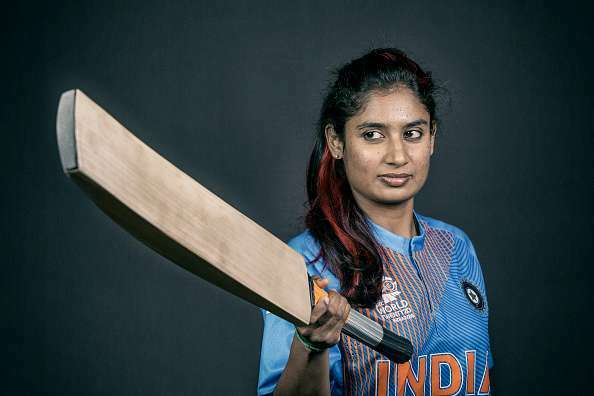 Indian women’s cricket team captain Mithali Raj made history on Wednesday in the Women’s World Cup. She has now become the highest run scorer in ODIs. Mithali needed only 33 runs to match England’s cricketer Charlotte Edwards’s record of 5992 runs before this match. Edwards scored 5992 runs in 191 matches. Not only did Mithali overturn the record of England batsman Edwards, but she became the first woman batsman to reach 6000 runs in women’s ODI cricket during today’s innings. Earlier, Mithali had made a record of hitting half-centuries in seven consecutive ODI matches during the tournament. The record of most ODI half centuries in women’s cricket is belongs to Captain of India. Mithali debuted in International Cricket at the age of 16. Due to her skill in batting, she is called ‘Women’s Cricket Sachin Tendulkar’. She played an innings of 69 runs in 114 balls with four fours and a six against Australia on Wednesday. She has scored 6,061 runs at an average of 51.83 so far in 164 innings of 183 matches. Mithali’s highest score in ODIs is 114 not out. She has made 5 centuries and 49 half-centuries. England batsman Edwards is at second place in the list of highest run getter with 5992 runs in 191 matches. Australian batsman Belinda Clark is at third place, she has scored 4,844 runs in 114 innings of 118 matches at an average of 47.49. She has also scored a double hundred in ODI cricket. Belinda’s highest score is 229 runs.